The Roots73 Bridgewater Insulated Jacket combines warmth, comfort and style in a whole new way, with faux down insulation, dropped back fishtail hem, critical seam sealing to keep out moisture and a waterproof, breathable membrane. 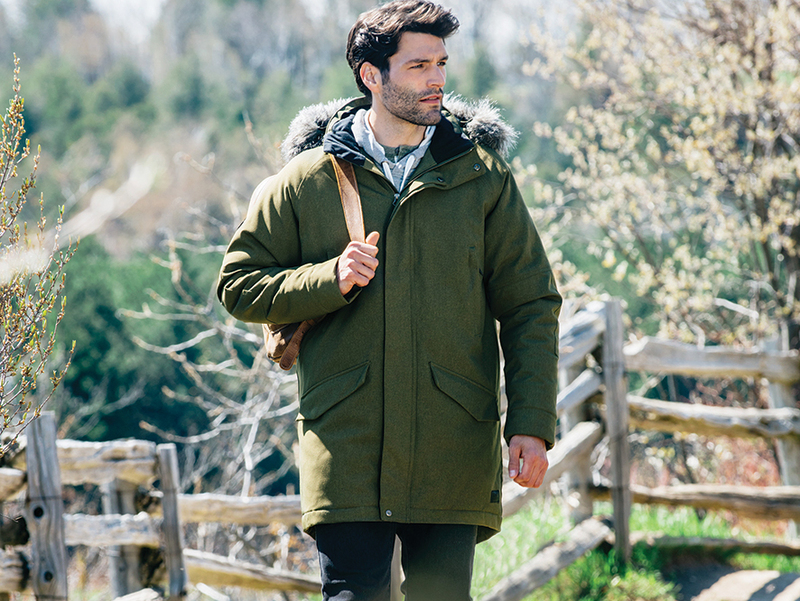 From a style perspective, this parka-style jacket has a detachable hood with detachable faux fur trim, elbow patches and classic Roots73 branding. FABRIC: 80% Cotton 20% Polyester sueded washed fleece, 300 g/m² (8.9 oz/yd²). OUTER SHELL: 100% Polyester twill with waterproof 8000mm, breathable membrane 500g,m2 and water repellent finish, 230 g,m2 (6.9 oz/yd2). CONTRAST: 80% Acrylic 20% Modacrylic faux fur with 100% Polyester backing. INSULATION: 100% Polyester faux down fill. †Price includes first location run charges. Additional set up charges may apply. Decoration pricing is based on your customer specific blank price plus the exact quantity decoration price. Discounts do not apply on decoration add on pricing. †Price includes location run charges. There have been no reviews placed for this product yet. You must login to view inventory. Decoration techniques are specific to colour. Select a colour to view all available options.